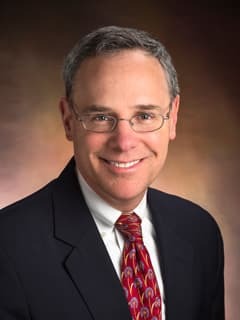 Nathan J. Blum, MD, is Chief of the Division of Developmental and Behavioral Pediatrics at Children’s Hospital of Philadelphia. Huang P, Blum NJ. Developmental and behavioral disorders grown-up-intellectual disability. J Dev Behav Pediatr. 2010 Jan;31(1):61-71. Review. No abstract available. Blum NJ, Williams GE, Friman PC, and Christophersen ER. Disciplining young children: the role of verbal instructions and reasoning. Pediatrics. 1995;96:336-341. Blum NJ, Mauk JE, McComas JJ, Mace FC. Separate and combined effects of methylphenidate and a behavioral intervention on disruptive behavior in children with mental retardation. Journal of Applied Behavior Analysis. 1996;29:305-319. Power TJ, Blum NJ, Jones SM, Kaplan PS. Brief report: responsiveness to methylphenidate in two children with Williams Syndrome. Journal of Autism and Developmental Disorders. 1997;27:79-87. Blum NJ, Mercugliano M. Attention-deficit hyperactivity disorder. In: Batshaw ML, Perret YM, editors. Children with disabilities: a medical primer, 4th edition. Baltimore: Brookes Publishing, Co; 1997. p. 449-470. Meyer GA, Blum NJ, Hitchcock W, Fortina P. Absence of the fragile X CGG trinucleotide repeat expansion in females diagnosed with a pervasive developmental disorder. Journal of Pediatrics. 1998; 133:363-365. Blum, NJ. Repetitive behavior. In: Levine, MD, Carey, WB, Crocker, AC, editors. Developmental-behavioral pediatrics, 3rd Edition. Philadelphia, W.B. Saunders; 1999. p. 430-442. Mercugliano M, Power TJ, Blum NJ. The clinician's practical guide to attention-deficit/hyperactivity disorder. Baltimore: Brookes Publishing; 1999. Mace FC, Blum NJ, Sierp B, Delaney B, Mauk JE. Behavioral versus pharmacologic treatment of operant self-injury. Journal of Developmental and Behavioral Pediatrics. 2001;22:85-91. Blum NJ, Taubman B, Nemeth N. Relationship between age at initiation of toilet training and duration of toilet training: a prospective study. Pediatrics. 2003;111:810-814. Wang PP, Blum NJ. Williams Syndrome. In: Wolraich MW, editor. Disorders of development and learning, 3rd edition. Ontario, Canada: BC Decker Inc; 2003. p. 283-298. Blum NJ, Taubman B, Nemeth N. Why is Toilet Training Occurring at Older Ages? A Study of Factors Associated with Later Training. Journal of Pediatrics 2004;145:107-111. Blum NJ. Nocturnal enuresis: behavioral treatments. Urology Clinics of North America. 2004;31:499-507.